Weltmann Lighting, LLC is a full-service lighting distributor providing lighting fixtures, lighting controls and related services to the construction trade. Since our inception in 2008, we have earned a reputation for cultivating strong, long-standing partnerships with our clients and our manufacturers. Weltmann Lighting focuses on client needs and is passionate about achieving exceptional client satisfaction with each assignment. Providing superior service to our community, through the expression of our core values of excellence and integrity. We strive to achieve exceptional customer satisfaction with each assignment, through personalizing our attention to each facet of customer needs and accomplishing all tasks in a superior manner. Our services are scalable to any size project, from corporate interior fit-out and aesthetic enhancements to major building upgrades and new out-of-the-ground construction. Weltmann Lighting will streamline your lighting procurement to fit your budget and construction schedule. With our team of in-house professionals and state-of-the-art systems, we assist you from the earliest project stages through close-out and commissioning. E-mail or call us at (516) 513-1030. 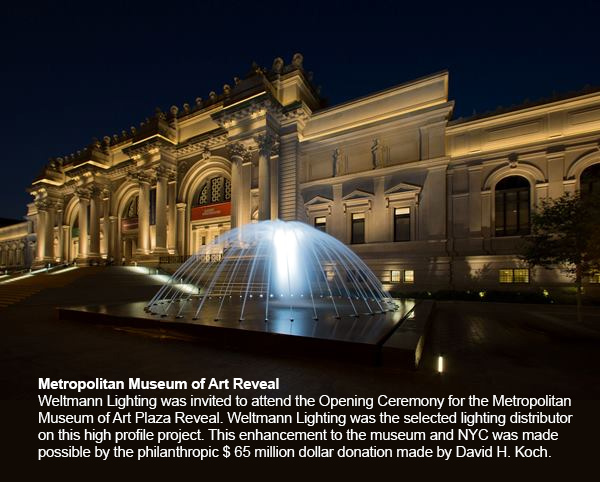 Weltmann Lighting was invited to attend the Opening Ceremony for the Metropolitan Museum of Art Plaza Reveal. 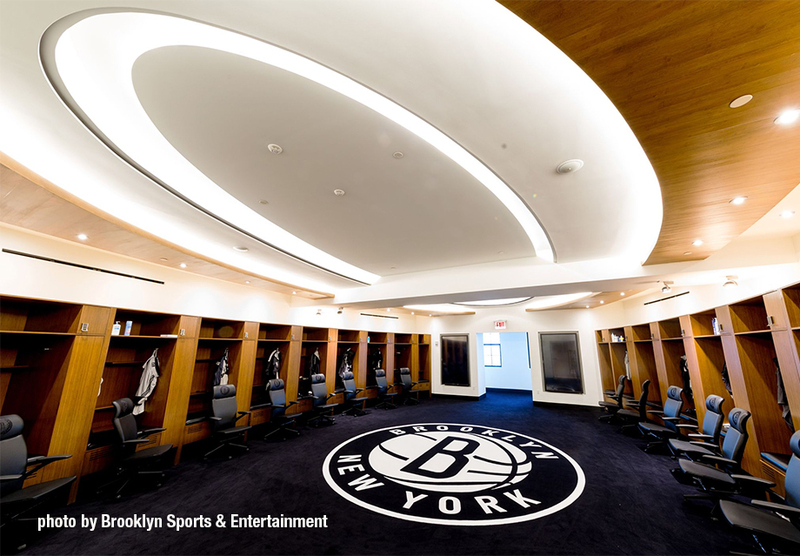 Weltmann Lighting was the selected lighting distributor on this high profile project. Weltmann Lighting is now WBE certified with the Port Authority of New York and New Jersey.